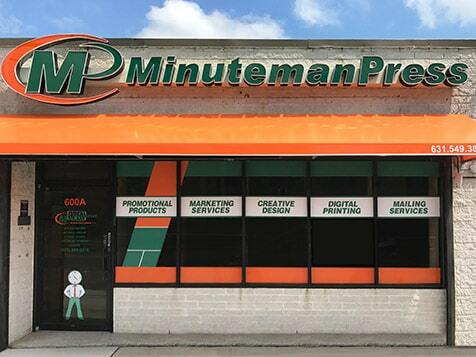 How do I buy a Minuteman Press Franchise? 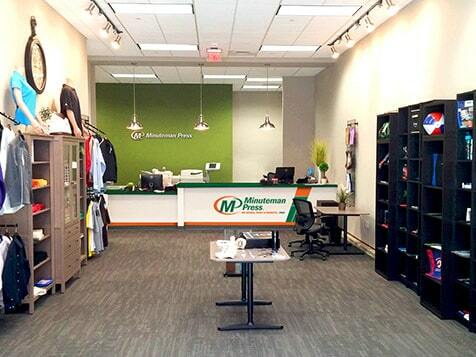 Minuteman Press is the world’s leading printing franchise, offering design, print, promotional and marketing services to customers. To buy a Minuteman Press requires an investment between $108,115-$163,865. Minuteman provides a comprehensive two week training program that covers all aspects of owning and operating a successful center. MinuteMan has also developed proprietary management and pricing software to track marketing efforts, customer spending habits, pricing and workflow to maximize franchisee earnings. 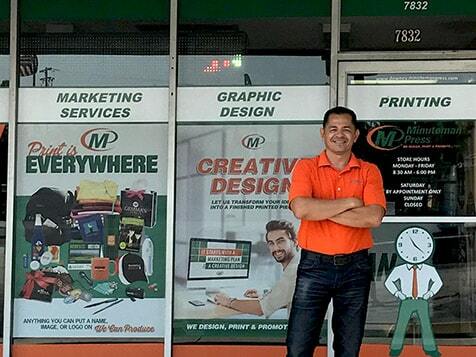 The #1 Rated Printing & Marketing Franchise. With a proven business model, low inventory, work life balance, great products & services that every business needs. Be part of the modern printing industry. Own a franchise that can provide anything you can put a name, image, or logo on. Apparel, Promotional Products, Signs & Banners & much, much more! Open Minuteman Press in any of these available states: AK, AL, AR, AZ, CA, CO, CT, DC, DE, FL, GA, IA, ID, IL, IN, KS, KY, LA, MA, MD, ME, MI, MN, MO, MS, MT, NC, ND, NE, NH, NJ, NM, NV, NY, OH, OK, OR, PA, RI, SC, SD, TN, TX, UT, VA, VT, WA, WI, WV, WY. Rated #1 in Printing & Marketing Service Franchises by Entrepreneur 2019 - 28 times & 16 years in a row! 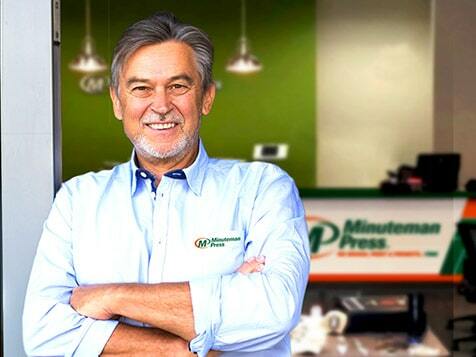 Minuteman Press is the world's largest & #1 rated printing, marketing and design franchise that was established over 40 years ago. We offer our franchisees a business that provides high demand products and services, a proven business model, and regional support offices. 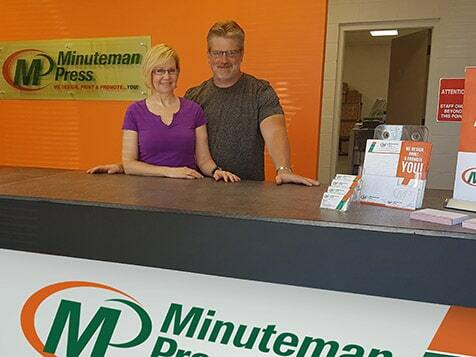 There has never been a better time to own a Minuteman Press, and you too can take advantage of our unique franchise system. At Minuteman Press, We Are The Modern Printing Industry™ and we specialize in meeting the growing needs of today's business professionals. Royalty Cap - A unique royalty incentive program that has a limited royalty structure to help maximize your income. You’d be hard pressed to find another franchise that caps their royalty at reasonable level. 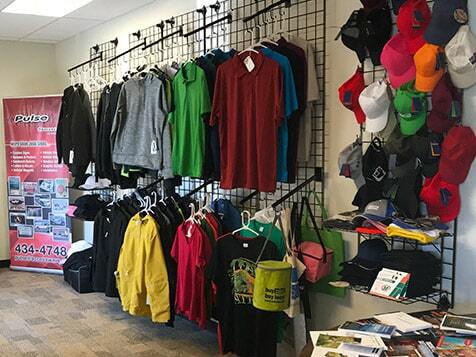 Multi-Revenue Streams - Provide high demand products & services that every business needs & reordered regularly: Digital Printing, large format & signs, promotional items, apparel & mailing services. We can print on pretty much anything. Proprietary Software - We reinvest into our franchise owners & developed proprietary business management & pricing software that is unmatched in the industry. Local Support - Regional Support offices staffed with representatives that provide local, face-to-face assistance. With almost 1,000 locations we have tremendous mass purchasing power enabling our owners to receive outstanding prices from vendors and suppliers. A proven business model: With over 100 locations being owned by 2nd generation owners. One of the largest support teams in franchising: 28 regional offices that assist our owners on-site from management to marketing assistance. Repeat Customers: We offer consumable products & services that are reordered regularly. Work life balance: Being a b2b franchise, we are typically open Monday thru Friday, 8:30 – 5:30, which allows us to service the needs of the business community while maintaining a nice quality of life for our franchise owners. Every business is a potential customer: Every business uses some kind of advertising or marketing items from brochures, and direct mail campaigns to apparel, marketing materials, and promotional items. We also offer full graphic design services. If you can put an image or logo on it we can get it done. Find out how you can join Minuteman Press and take advantage of capped royalties, unmatched local support and multiple revenue streams by completing the inquiry form.